The campus of Southern Vermont Arts Center began life as a private estate in 1917. The original property boasted over four-hundred acres of forest and meadowland, and a 28-room mansion complete with servants quarters. Owned primarily by Gertrude Divine Webster, a wealthy socialite who used the property as her summer retreat, the Webster Estate enjoyed a reputation for refined elegance and culture. Gertrude was a patron of the arts and her multi-windowed conservatory boasted the finest Vermont-made glass collection in the world. Sold to the Southern Vermont Artists in 1950, the campus became the permanent home to Southern Vermont Arts Center. 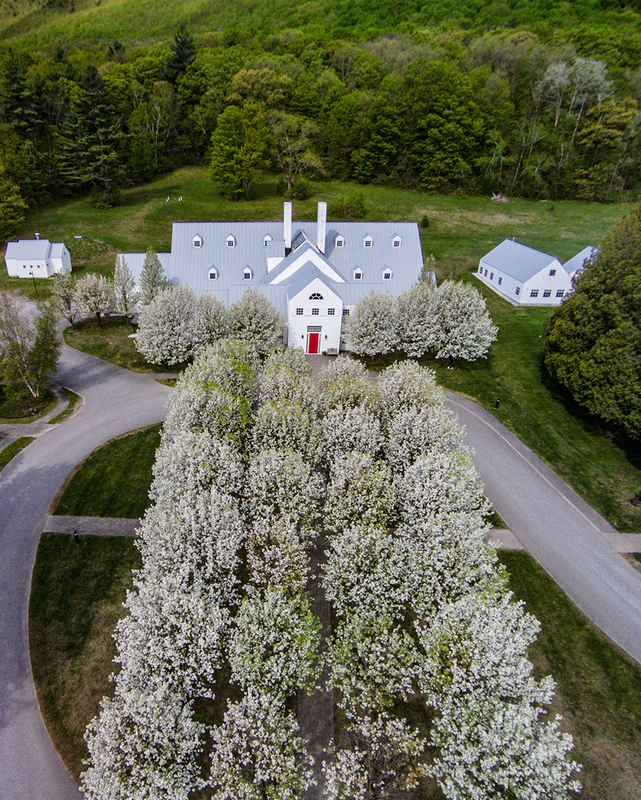 Today the original building still remains on more than 120 acres of forest-land, and has been joined by a state-of-the-art museum complex, studio facilities, 400-seat auditorium, and the largest sculpture garden in Vermont. Together, SVAC’s facilities provide a comprehensive opportunity to immerse oneself in the arts whether it be for education or enjoyment. 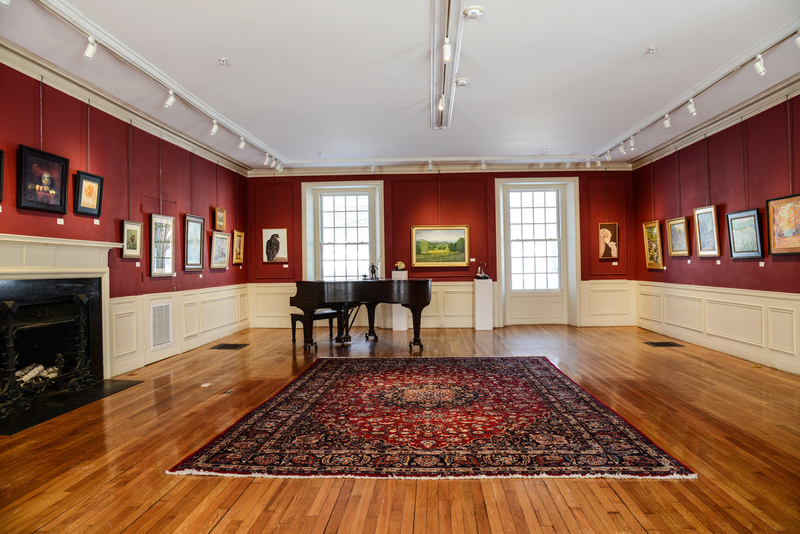 The main building of the former Webster Estate, Yester House welcomes dozens of individual and group art exhibitions each season. With ten distinct galleries, it has been a permanent home for SVAC artists since 1950. The rotating exhibitions include works from member artists of all variety, medium, technique, concept, and background. The galleries offer a wide spectrum of original, for-sale artwork. 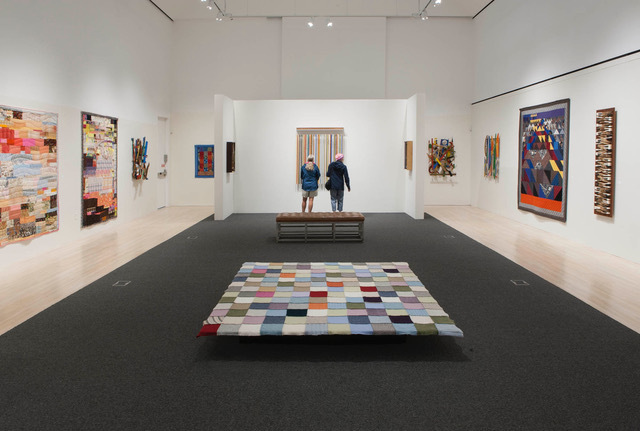 Opened in 2000 and designed by Hugh Newell Jacobsen, the Wilson Museum & Galleries provide a contemporary, state-of-the-art exhibition space for visiting artists and exhibitions. The Wilson also serves as a secure repository for our Permanent Collection, featuring over 900 works by Luigi Lucioni, Ogden Pleissner, Grandma Moses, Lorenzo James Hatch, to name a few. The Wilson Museum gift shop offers local artwork, artist books, prints, and an array of gift items. 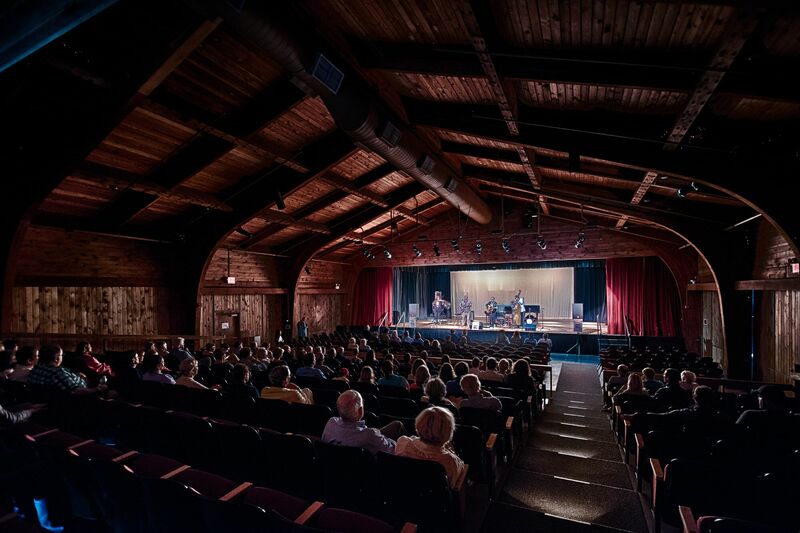 Southern Vermont Arts Center’s performance space, the Arkell Pavilion, is a 400 seat auditorium with professional-quality acoustics that is one of the areas finest performance spaces. Founded in 1965, the Arkell has hosted scores of musicians, singers, dancers, actors and writers. What makes the Arkell particularly unique is its ability to become an open-air venue when the side and back walls are rolled open. Aside from hosting SVAC’s busy calendar of summer performing arts events, the Arkell continues to be the home of the Manchester Music Festival’s Summer Series. Since 1974 MMF has brought musicians of national and international reputation to the galleries of Yester House and the stage of the Arkell Pavilion. These world class, classical music concerts within the Summer Series include chamber, orchestral and operatic genres with occasional forays into highly entertaining symphonic pops, rock, and other diverse musical styles. The Joan Hay Madeira Education Center boasts two modern studios, each with ample natural light and courtyards looking to Equinox Mountain. Since their construction in 2000, the Madeira Education Center studios have attracted teachers and students from around the country to participate in a wide variety of art classes and workshops. 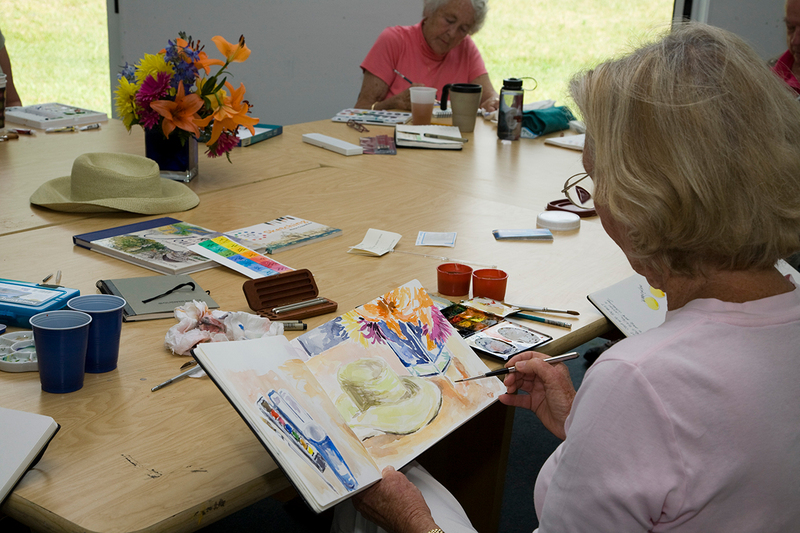 On any given day in the summer there is the possibility of finding a class teaching everything from plein air in watercolor to oil portraiture, pastel abstracts to photography–and that’s not even mentioning woodworking, mixed media, and ceramics! 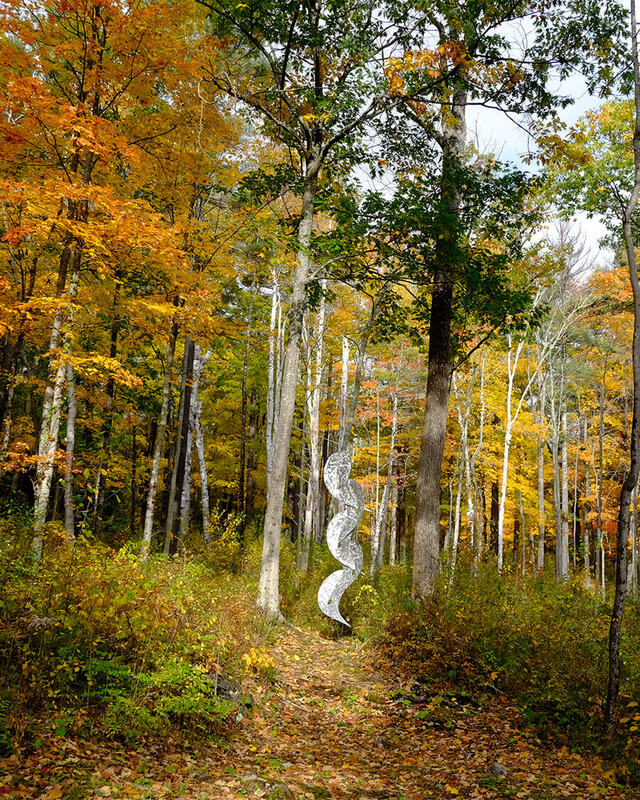 The largest in Vermont, SVAC’s stunning Sculpture Park and Gardens provide a mix of culture and contemplation for art-lovers and outdoor enthusiasts alike. With commanding views of the Green and Taconic Mountains in all directions, the Park has perfect spots for summer picnics, leisurely strolls, cross country skiing, snow-shoeing, and dog walking. Most pieces in the Sculpture Park are available for sale. For more information, please e-mail info@svac.org. For those looking for more challenging walks, our grounds have a direct link to the Nature Conservancy Path. Click here to visit an interactive trail map of their system. The SVAC Loop trail leads right into SVAC’s western campus and gives hikers a wide variety of hikes to choose from–following the loop to the Equinox Pond for a relaxing afternoon, or make the day of it and hike to the summit of Equinox Mountain where one will be rewarded with panoramic views of Manchester and the surrounding area; on clear days one can see into New York, Massachusetts, and New Hampshire.